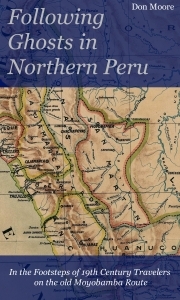 Following Ghosts in Northern Peru - This is the top page for the web pages about my book. This includes all the photographs connected with the book - and links to where you can buy it as either a print book or a Kindle ebook. DX Photos From Peru - Radio hobby related photos and other information from my 2017-2018 travels in Peru. Latin American Utility DX Photos - For radio hobbyists who monitor air and sea communications. Link to Google Drive Folder with sample SDR recordings made around South America. BlanDX - The humor site for radio hobbyists.